For many decades now Americans have been allowed to own gold and silver and, despite gold and silver trading in the vicinity of $1200/ozt. and $18/ozt. respectively, the “official” price of gold is still $42.22 per troy ounce. When it comes to capital preservation, few resources have been able to hold their value like gold. Gold remained quite stable until 1971 when Richard Nixon demonetized gold, detaching Federal Reserve notes (U.S. Dollars) from exchange at the predetermined price of gold. Today, money is created by a privately owned central banking cartel and all U.S. citizens are forced to accept these fiat paper notes a payment for all debts, public and private, as a result of current legal tender laws. From 1913 through 1933, Federal Reserve Bank branches would take gold on deposit from U.S. citizens and issue in return gold certificates that could then be used in commerce. Profiting by collecting interest, banks lent the gold back to the public, keeping a fraction on hand in case some depositors wanted their gold back. Consumers would take gold on loan for tangible purchases beyond their current means. Upon purchase, the gold would transfer from buyer to seller and then get re-deposited, giving the banks repeated opportunities to loan us the same gold. 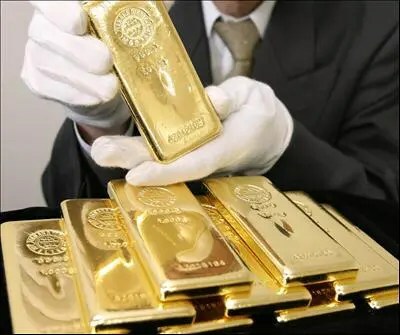 After several loans and deposits this pyramid scheme, called fractional reserve banking, would, on paper, turn one ounce of gold into several, leaving only a small amount of real gold for depositors. Having the newly established power to lower reserve requirements, the Fed was able to fuel the largest economic expansions of all times – the Roaring 20s – through the expansion of credit. What a party it was! Unfortunately, along with credit comes compounding interest. Member banks divested themselves from the exuberant market, raised reserve requirements and their greed ultimately caused the greatest depression of all times. A panic in the banking community was underhand! Depositors were demanding their gold back! Having only a fraction of the gold to disburse, bankers turned to their political friends and asked to be bailed out. Franklin D. Roosevelt responded with one of the largest defaults ever pulled on the U.S. public! On March 4 1933, (the day he was inaugurated) more than 12,000,000 people were out of work; 8,000 banks had failed and the U.S dollar (and almost every other currency in the world) was in trouble because people were losing confidence in paper currency. In fact, panicked people were draining all banks of much needed currency and people were hoarding gold and silver. Americans had less than a month to comply and received only $20.67 per ounce in fiat paper money and silver coin for their gold. Violation of the order was punishable by up to a $10,000.00 fine and/or up to 10 years in prison, plus confiscation of gold forfeited to the government. However, Roosevelt knew he’d have trouble if he tried to confiscate all gold coins, especially those held by people for historical, cultural, or collector reasons. The hang-up was the Fifth Amendment to the U.S. Constitution, specifically the Eminent Domain Clause, which states, “…nor shall private property be taken (by the government) without just compensation”. This meant the government would have to take every “collector coin” on a case by case basis to determine “just compensation” for all rare and unusual coin – an almost unfeasible task. Realizing this, Roosevelt deliberately excluded all “gold coins having a recognized special value to collectors of rare and unusual coins” from his executive order, figuring they would amount to nothing more than a drop in the bucket relatively speaking. In June 1933, Congress, at the urging of Roosevelt, passed a joint resolution rescinding the use of gold clauses in all past and future contracts. This meant all contractual obligations had to be met with fiat paper currency. Gold no longer was king! On January 15, 1934, Congress then passed the Gold Reserve Act which authorized all gold was to be owned by the government as a precious metals base for its currency. This Gold Reserve Act also gave Roosevelt the power to devalue the U.S. dollar by raising the price of gold. Roosevelt immediately raised the base price of gold from $20.67 per ounce to $35.00 per ounce, where it remained until 1971. In reality the price of gold did not almost double overnight — the value of the U.S. dollar fell by 59%. The phraseology of the exemption clause in Executive Order No. 6102 becomes very important to us today as we contemplate what the current administration might be considering to help solve its own financial problems. Roosevelt exempted only “collectors of rare and unusual coins” from the surrender requirement (and only for 5th amendment reasons as discussed earlier) and specifically not the owners, holders, possessors or even investors of such coins because it was understood that a collector’s primary interest in rare coins was enjoyment — it’s for historical, aesthetic or cultural attraction, whereas the investor’s interest was financial motive of making a profit. In a possible future confiscation ownership of gold coins by collectors would once again present unmanageable difficulties for the U.S. Treasury Dept because of the Eminent Domain Clause. With the stroke of a pen, President Roosevelt not only wiped out the value of the savings of many people, (who had at least been fortunate enough to get their money out of the banking system before it, too, collapsed) he effectively wiped out 59% of the government’s debt at the very moment he increased the value of the government’ supply of gold. Talk about a perfect crime! If you wish to own gold it would be wise to purchase it in the form of pre-1933 or Commemorative U.S. gold coins with a variety of dates, denominations and mint marks which could exclude them from any possible future gold confiscation. Gold British sovereigns and gold francs are also protected under this law and good to own. The only individuals who watched the value of their assets increase by 59% when Roosevelt devalued the U.S. dollar were the people who owned gold coins having a recognized special value to collectors of rare and unusual coins. In effect, people owning such rare and unusual gold coins made a bundle. That could be you should government confiscation of gold happen in the future! On August 9, 1934, Roosevelt issued a Presidential Proclamation ordering all silver bullion be surrendered to the U.S. Treasury within 90 days. A 50% tax was also levied on all profits realized from the sale of silver. People were paid 50.1 cents per ounce. From 1933 to 1971, the U.S. dollar was pegged to gold, with gold remaining at a fixed price of $35.00 per ounce. On August 15, 1971, after heavy gold buying by foreigners had drained billions of dollars worth of gold out of the U.S. Treasury at the price of only $35 an ounce, President Nixon “closed the gold window.” From that moment on not one single currency in the world was redeemable in gold. Following in Roosevelt’s footsteps, Nixon saw an opportunity to liquidate more governmental debt by taking the dollar off the gold standard. Naturally he seized the opportunity, and in December 1971, he increased the official price of gold from $35.00 per ounce to $38.00 per ounce. This same phenomenon occurred again on February 12, 1973, when the U.S. dollar was devalued again for a third time with the official price of gold being increased to $42.22 per ounce. The Official Price of Gold is Only $42.22/oz. For many decades now Americans have been allowed to own gold and silver and, despite gold and silver trading in the vicinity of $1200/oz. and $18/oz. respectively, the “official” price of gold is still $42.22 per ounce. In 1979 The Franklin Mint shipped a substantial number of Krugerrands on TWA. The shipment was lost by TWA, so the Franklin Mint sued to recover its loss at the actual market price of gold. In Franklin Mint Corp. vs. Trans World Airlines, the Supreme Court ruled that gold bullion values in commerce are limited to $42.22 an ounce. That’s all they received! Could Gold Confiscation Happen Again? The United States has seen four different gold confiscations — the last of which was in 1933. Few people realize that when the freedom to own gold was restored in 1972, the President retained the power to require us to surrender our gold which he can do again any time (probably on a Friday) with the mere stroke of a pen. That means all confiscated gold could possibly be compensated at only $42.22 per 1oz. and not at the world market price. Don’t take this decision lightly. It is a blatant warning that the government may be contemplating grand larceny — AGAIN. Congress passed the Bullion Act in 1985, and the US Mint has been selling gold and silver bullion at spot plus premium ever since, not $42.22. The Government loved it cause it lowered the Debt.Hence then they could then spend more.But those who really made the killing were the Bankers.It’s always the Bankers.Until they (Private Banks/Usury) are thrown out of the Monetary System,Nation will always suffer.